Ukrainian state authorities cannot be founders and cofounders of printed media outlets from now on. As many as 260 lawmakers voted for law No. 1123 on the reform of state- and municipal printed media outlets on Tuesday. Under the law state authorities, other state agencies and local self-government bodies cannot act as founders (or cofounders) of printed media outlets. The law defines the mechanism for reforming printed media founded by state authorities. 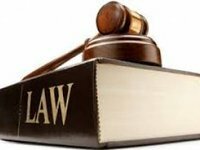 The law is necessitated by the honoring of the PACE resolution requirements on fulfilling the October 5, 2015 obligations concerning the limitation of the influence of state authorities and local self-government bodies, the explanatory note said.